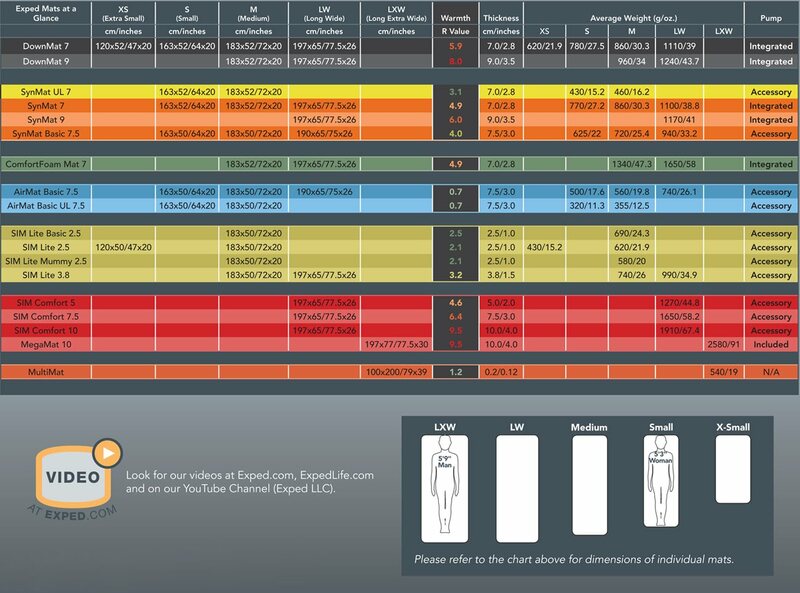 Here's a handy comparison chart for Exped mats available in North America in 2011. 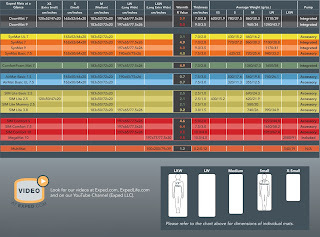 Click on the top image for a view of the full chart or the bottom one for a bigger version of the specification chart. Sleep well!